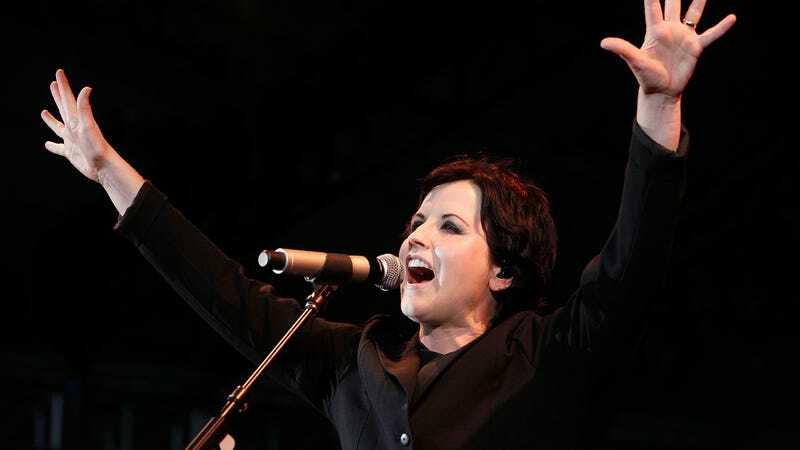 Dolores O’Riordan, lead singer of The Cranberries whose stunning vocals made songs like “Linger,” “Zombie,” and “Dreams” generation-defining classics, died in London Monday at the age of 46. No further details are available at this time. Family members are devastated to hear the breaking news and have requested privacy at this very difficult time. Back when I worked at VH1, this was around 2010 or 2011, The Cranberries came to perform at our office in Times Square for an ill-fated morning show called Big Morning Buzz Live. We got a staff email asking for people to “come to the stairwell” to watch, and I remember getting there just in time to watch them perform “Linger.” O’Riordan moved away from the mic for the final chorus, and everyone in the office swayed and sang along. I remember talking about it with a coworker soon after the performance. “Is it weird that I cried?” she asked. I told her it wasn’t. I’d cried, too.